Non traditional wedding ring crafted in 18 kt gold and set with white diamonds. 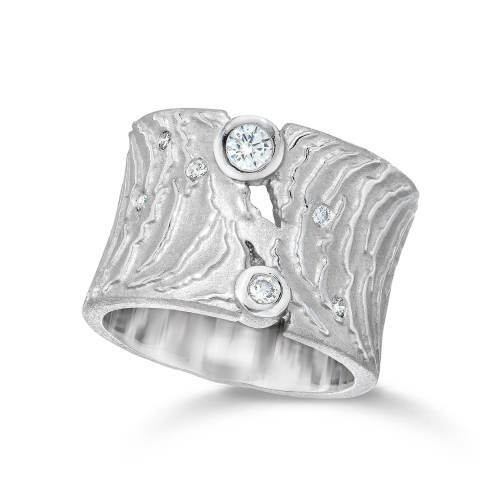 Blake Wedding Ring, crafted in 18 kt white gold with white diamonds. Unisex, non traditional wedding ring. Available in White or Yellow gold, sizes 6, 7, 8, 9, 10.